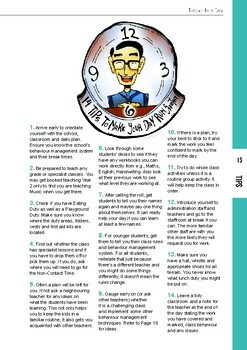 A Supply Teacher's Resource book and saviour! This book is the ONLY resource you will need for those days when you have 5 minutes to fill or when there is NO plan left at all. 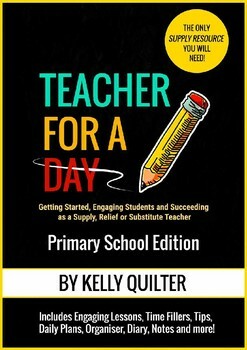 It includes lessons and time fillers guaranteed to engage even the most challenging students PLUS behaviour management tips, an organiser, a diary, daily plan examples and template, teacher feedback form and more! 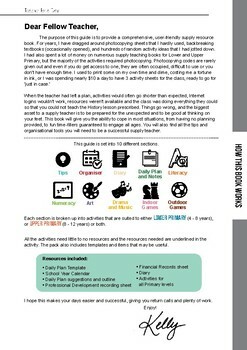 Not to mention, all the activities are designed to need little to no resources and NO PHOTOCOPYING! Ideal for Supply teachers as you never get access to the copy machine. This book is everything you need in one. It is your umbrella on a rainy day, you don't want to be without it!